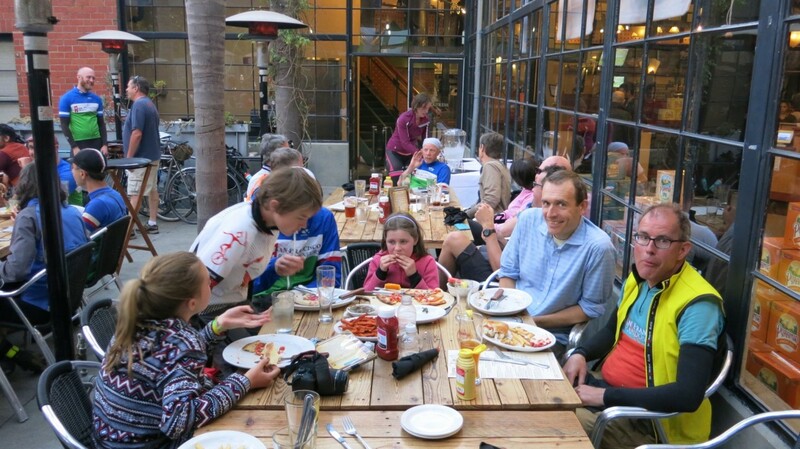 On Wednesdays evenings after work, a group of us East Bay folks regularly get together for a jaunt up into the hills followed by dinner. 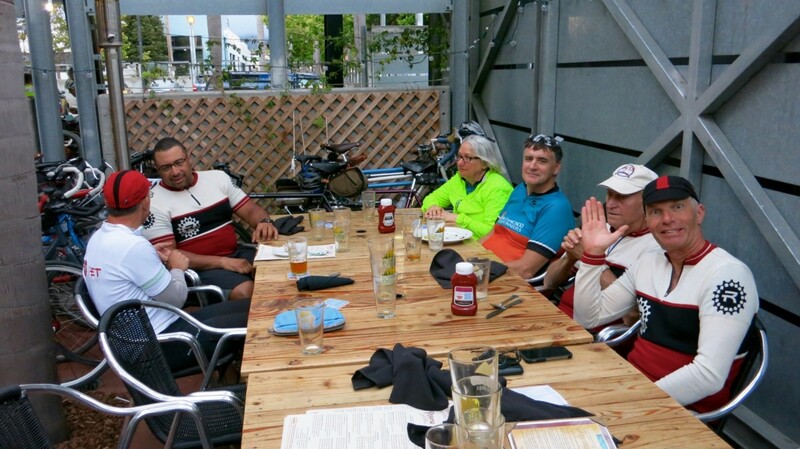 This outing is called, “Ride to Eat”, appropriately enough, and this year I volunteered to captain a DART team with members recruited from this circle of cycling friends. 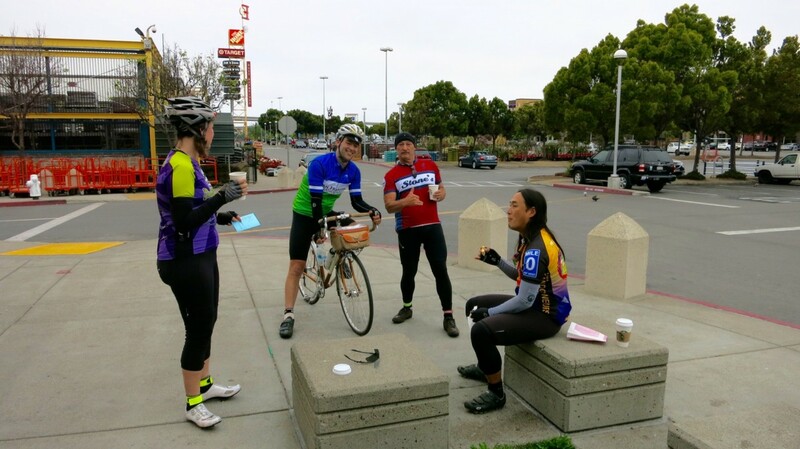 –Not too long after, despite the fact that Pudu delayed us for 20 minutes for a HPT-session (‘happy poopy time’) in Jack London Square — we still made it to our info control on Bay Farm Island with plenty of time to spare. 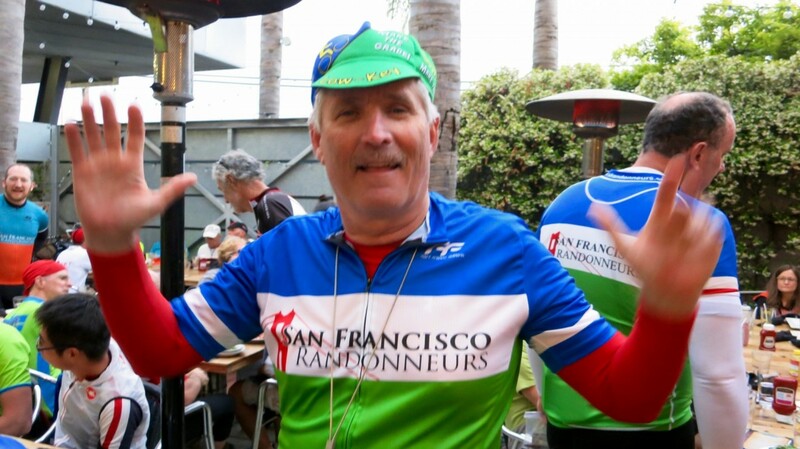 He also gave us TMI about said HPT because he’s Pudu. 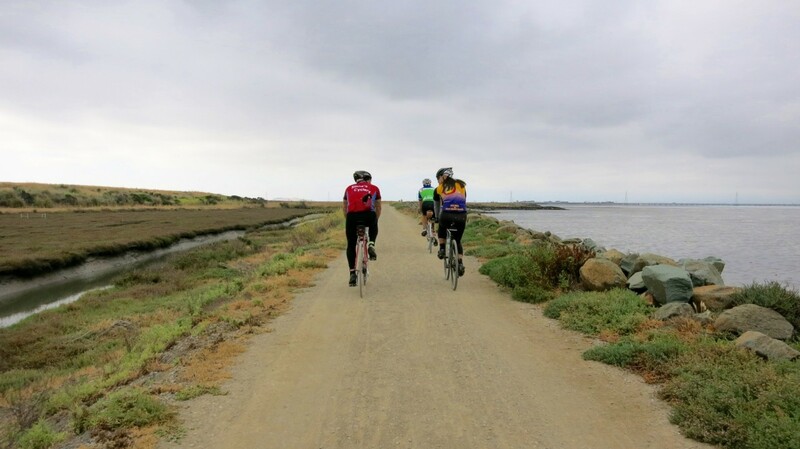 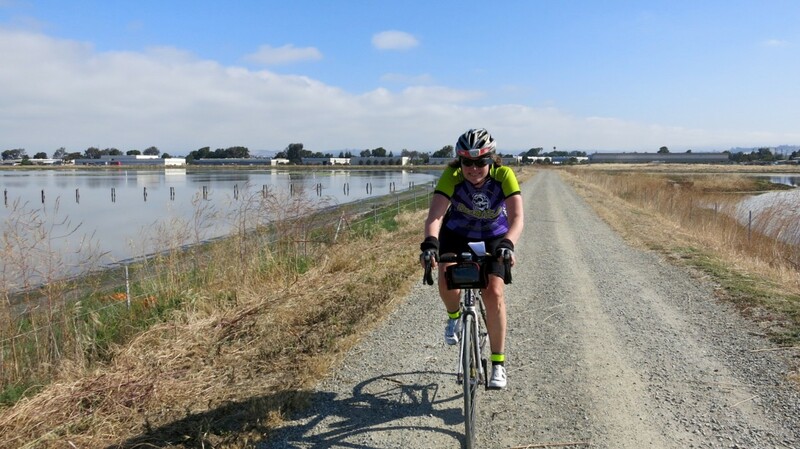 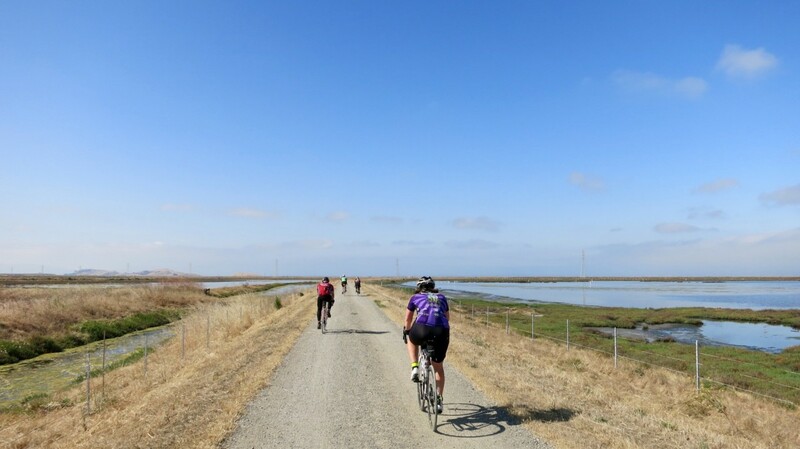 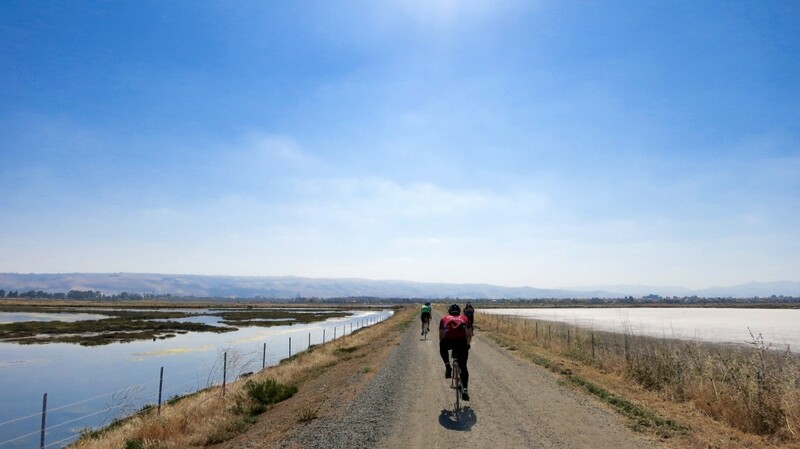 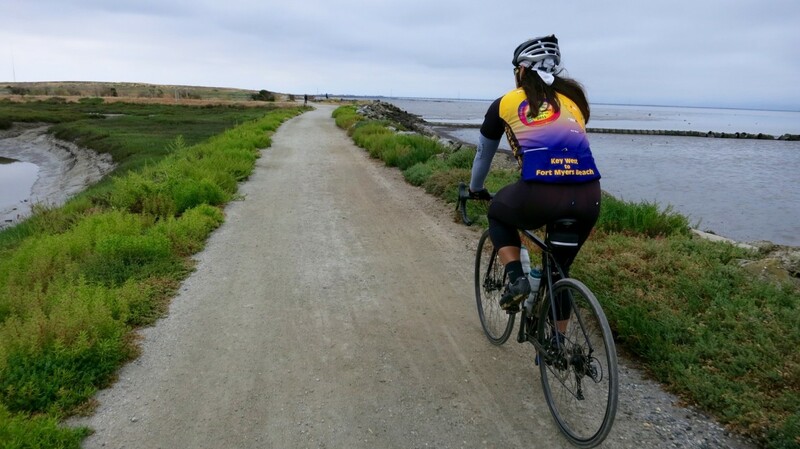 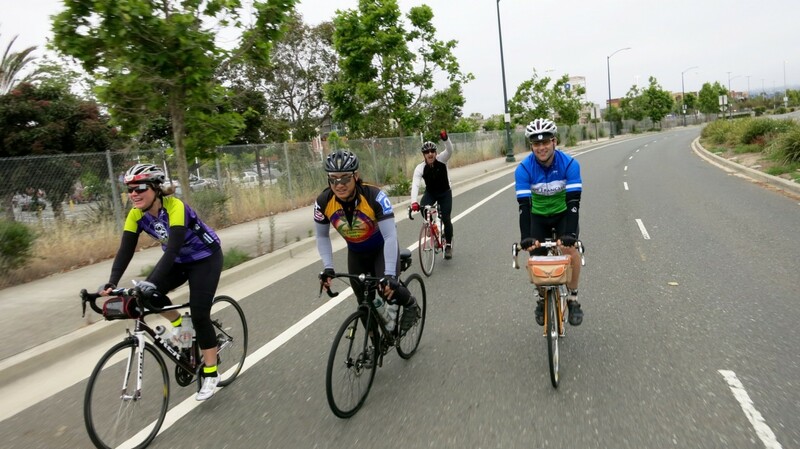 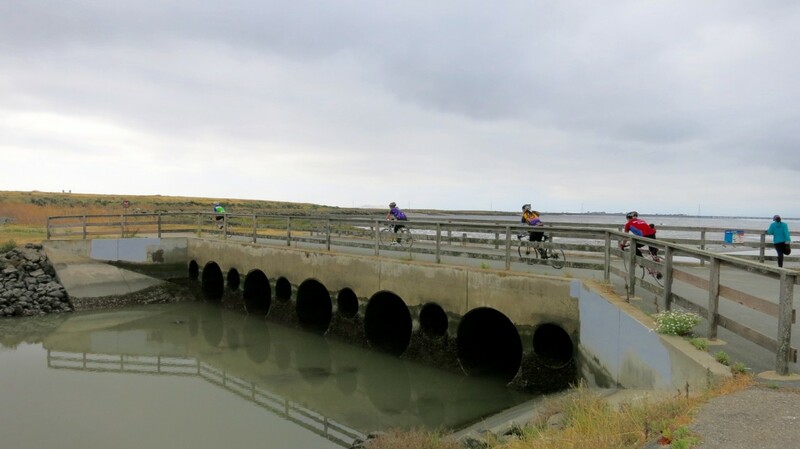 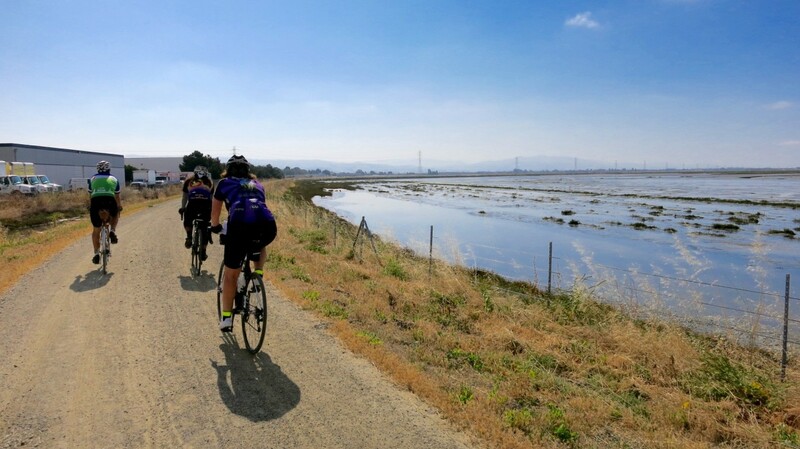 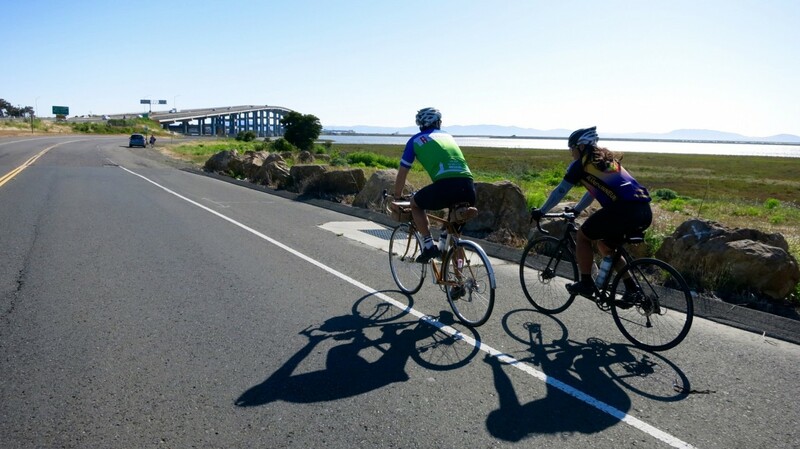 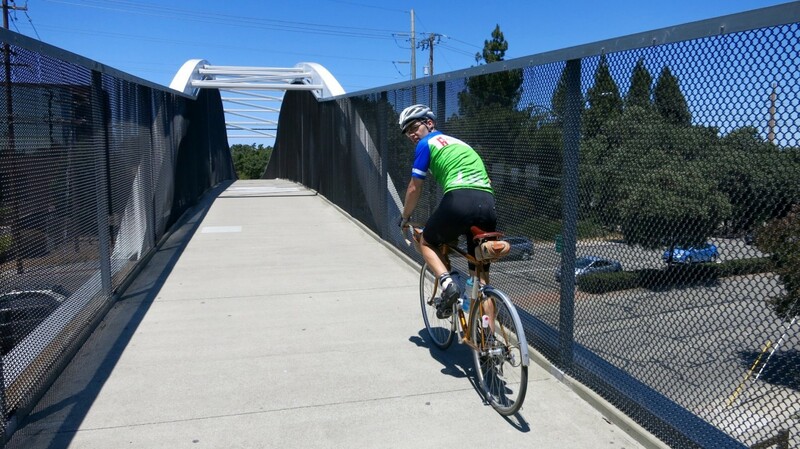 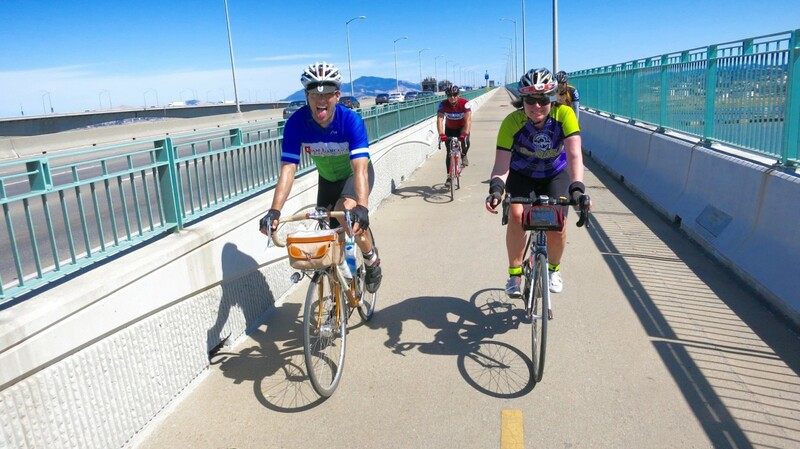 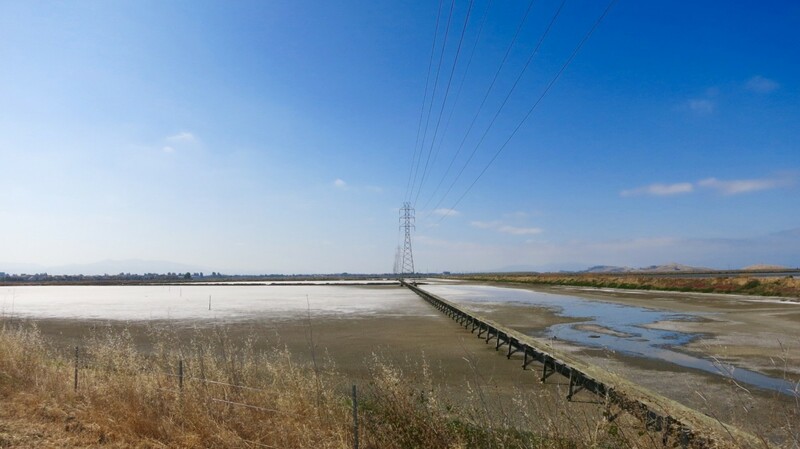 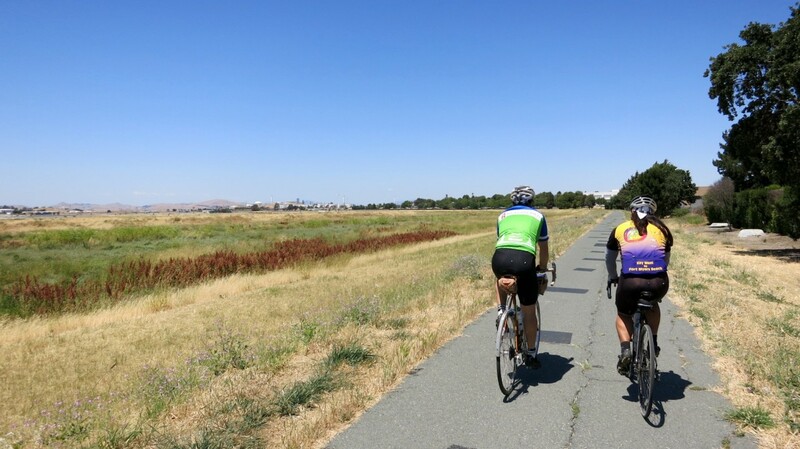 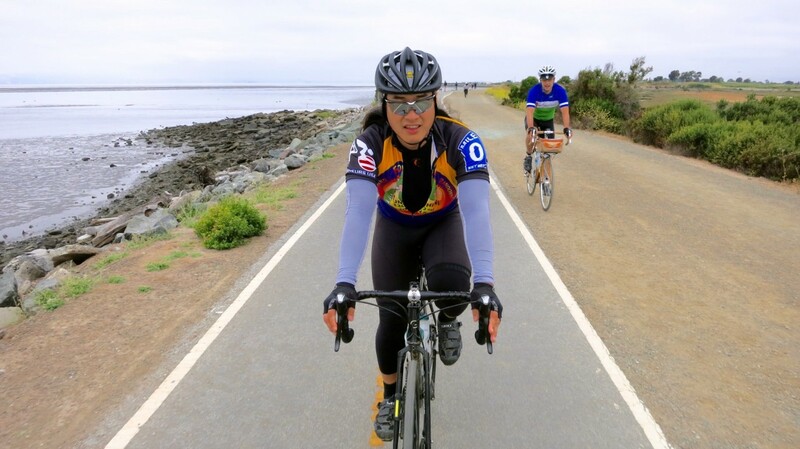 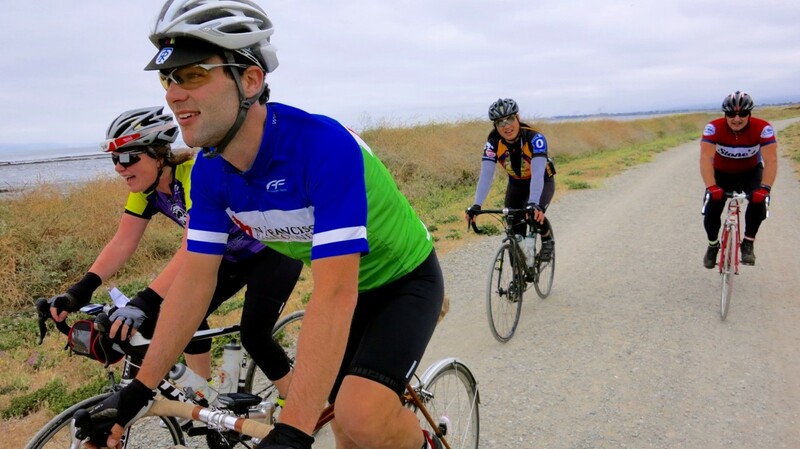 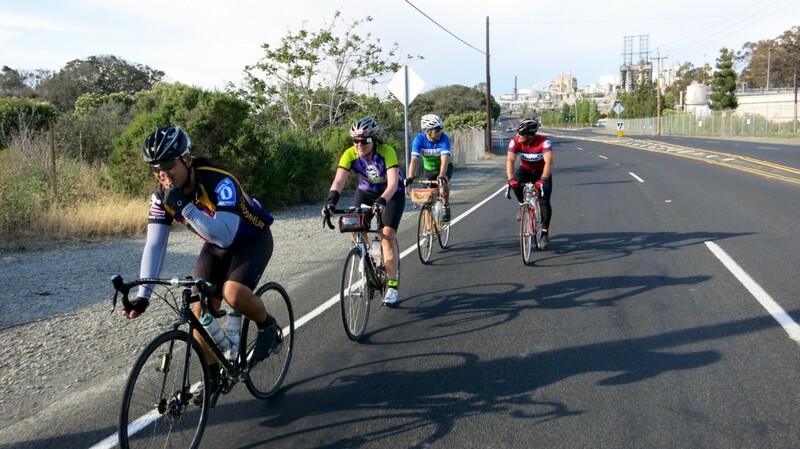 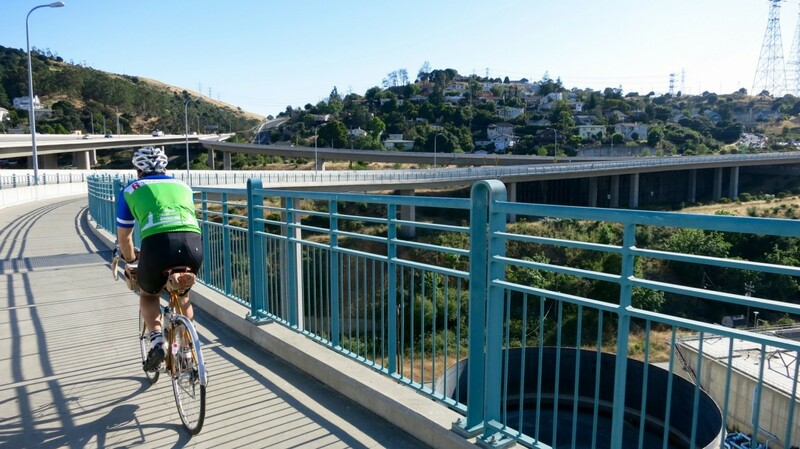 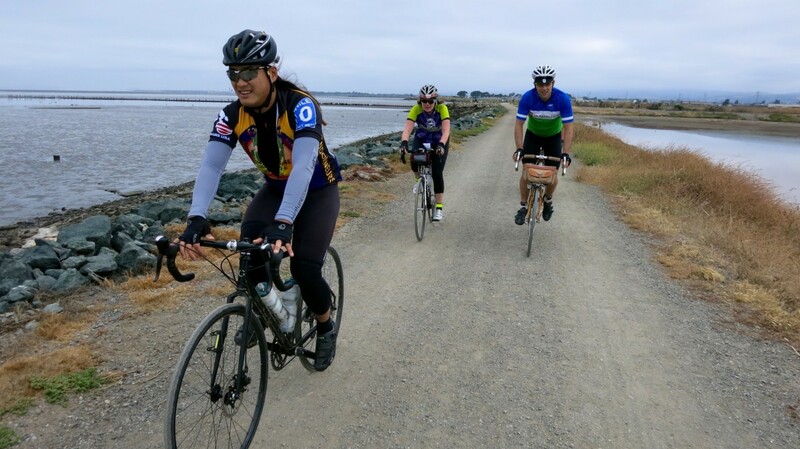 –The first section of our route hugged the Bay Trail, which has some fun gravel-grinding thrown in near San Leandro. 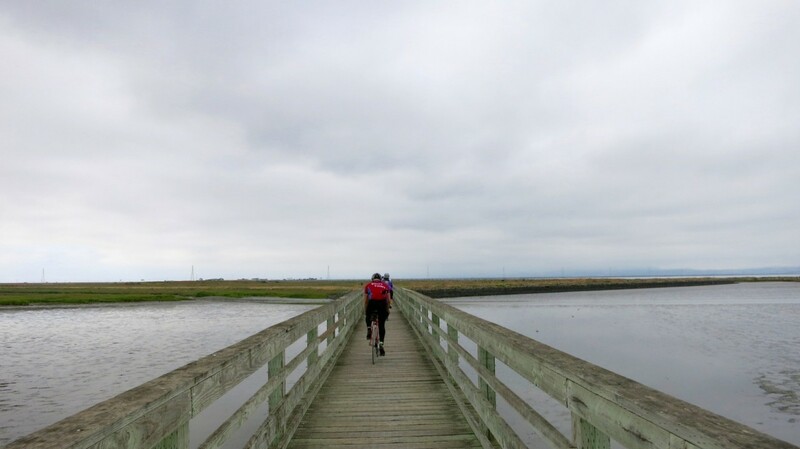 We wove through the marshlands under cloudy, cool skies until we turned off at Fremont. 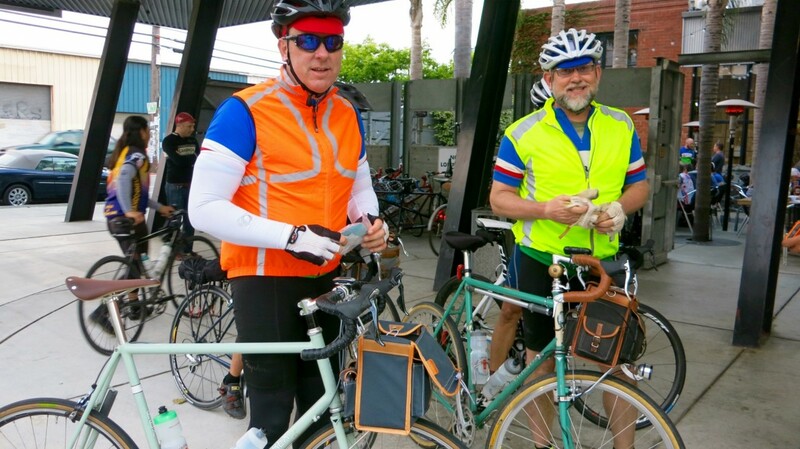 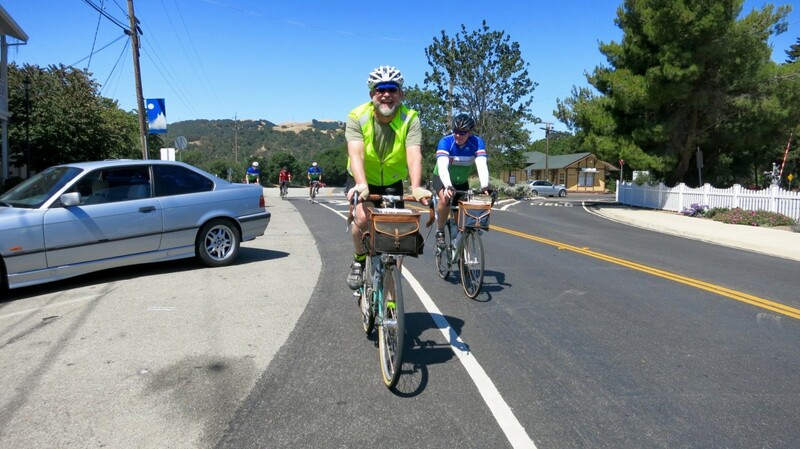 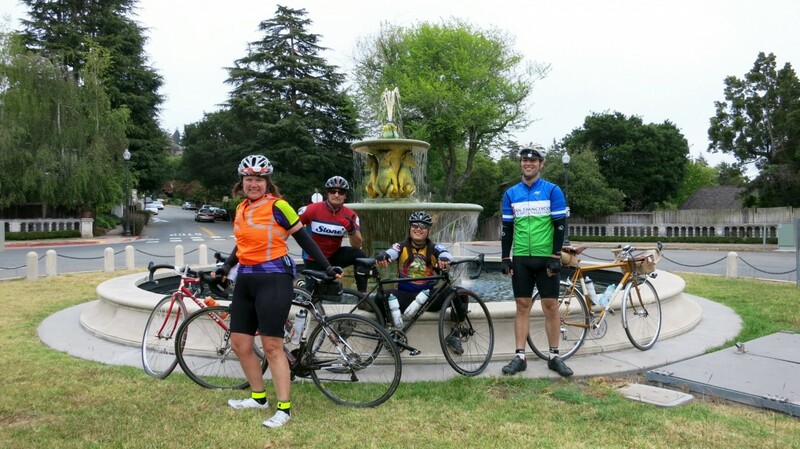 –We passed through the tiny town of Niles (which was a first for all us) and spotted Team “The Islanders” (Keith, Kley, Theresa, Stephen and Brooks) at their control at Mission and Niles Canyon Roads. 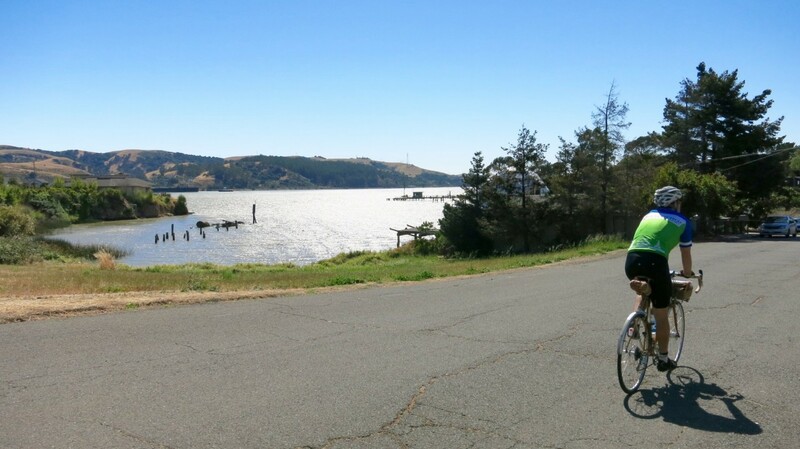 –Our first receipt control was in Sunol, where the Islanders whizzed by us as we stopped for a short snack in the sunshine. 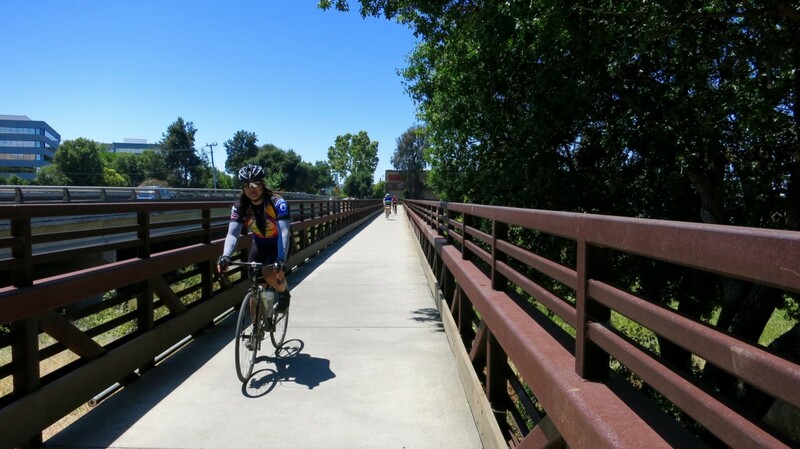 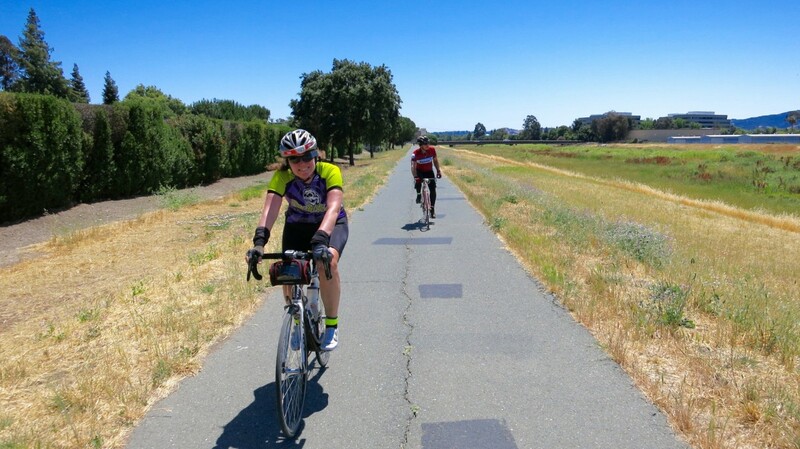 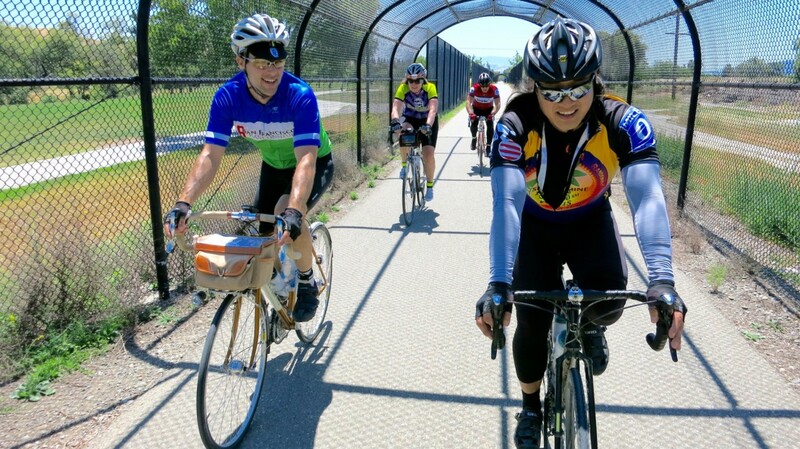 –Then it was onwards to the Iron Horse Regional Trail in Dublin; we rode the entire 32-mile path to Concord (and I think I was the only one on our team who’s done so. 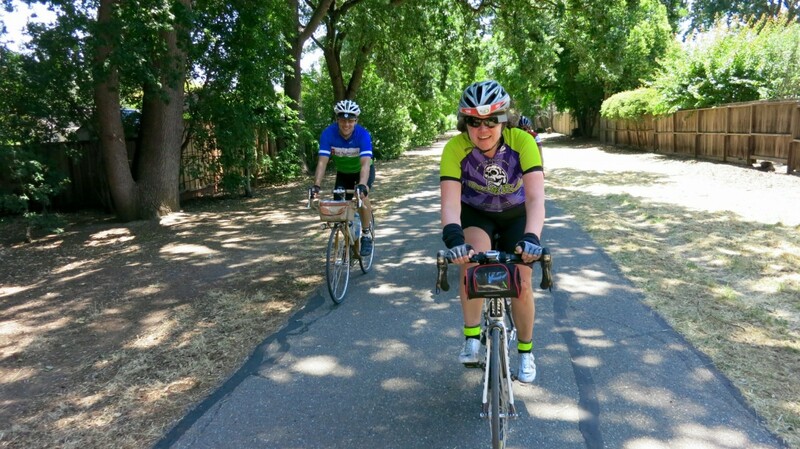 We took one wrong turn but got back on track shortly thereafter.) 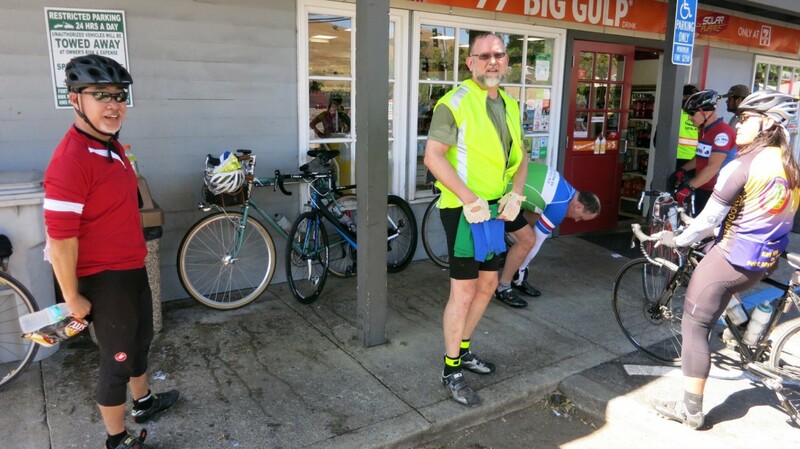 And with plenty of time on the clock, we stopped for a short pit stop at the cycling-haven in Danville — Peet’s — so Ann could adjust her cleat while the rest of us sipped on iced tea. 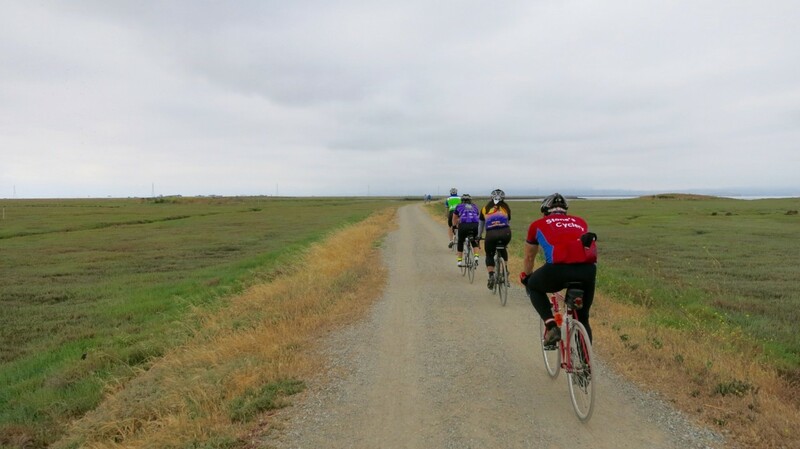 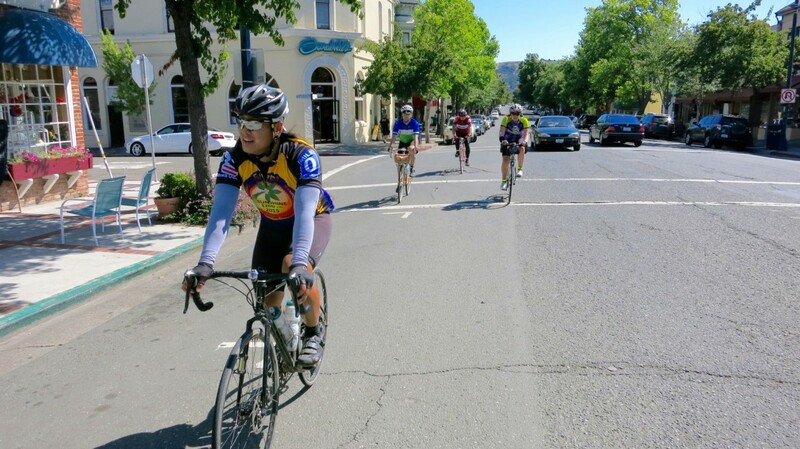 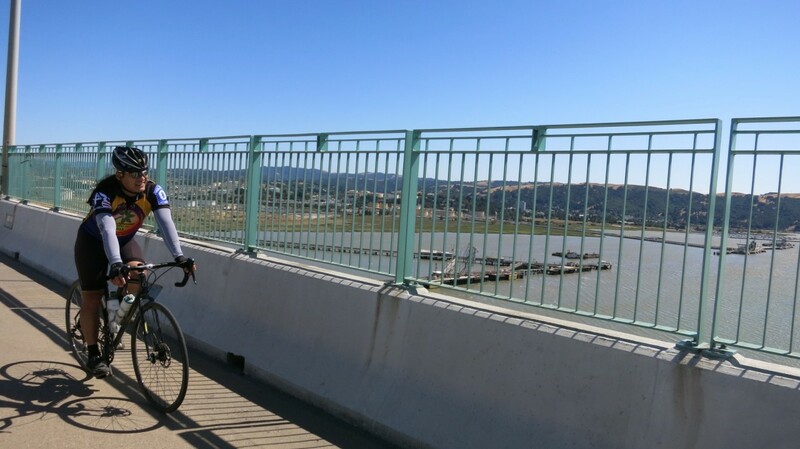 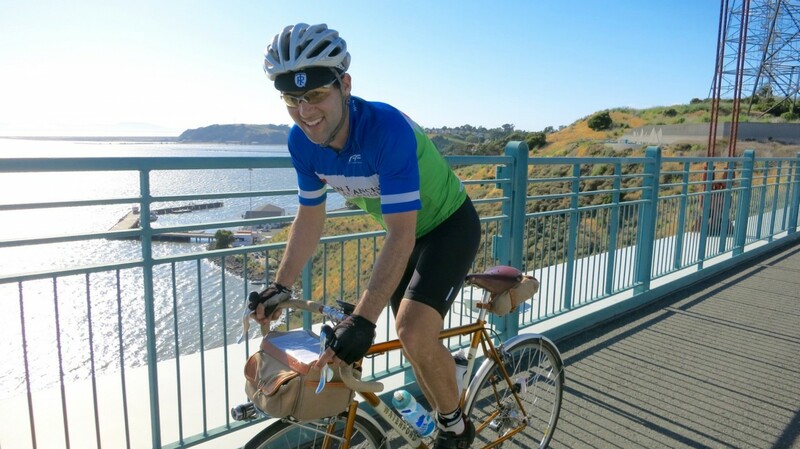 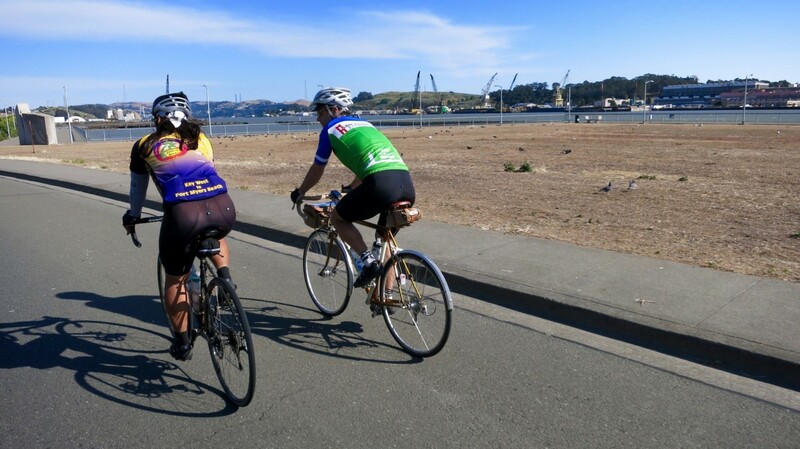 –The group loved pedaling through Benicia, a lovely little town nestled on the shore just east of Suisun Bay. 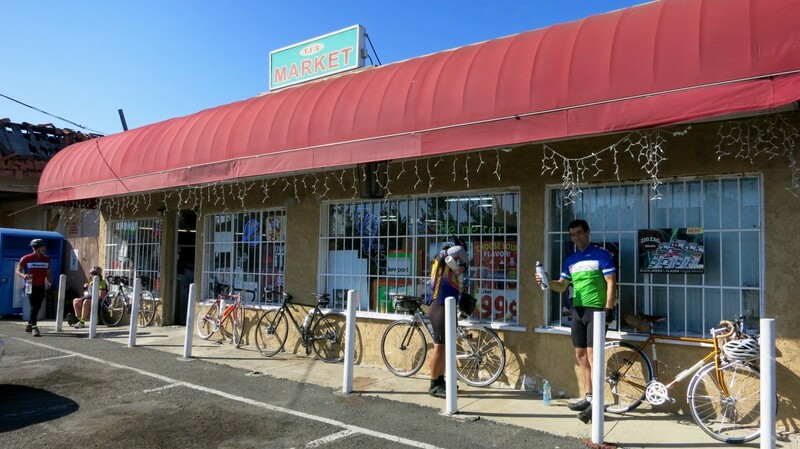 I’ve spent several afternoons there, walking through the historic main street and strolling along the waterfront. 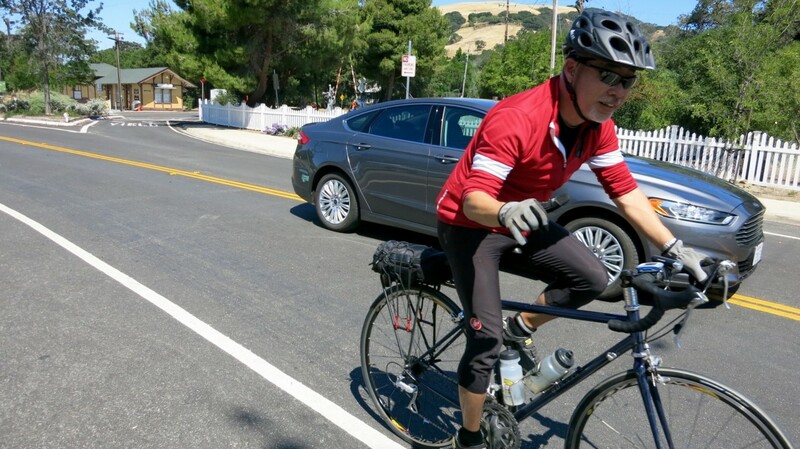 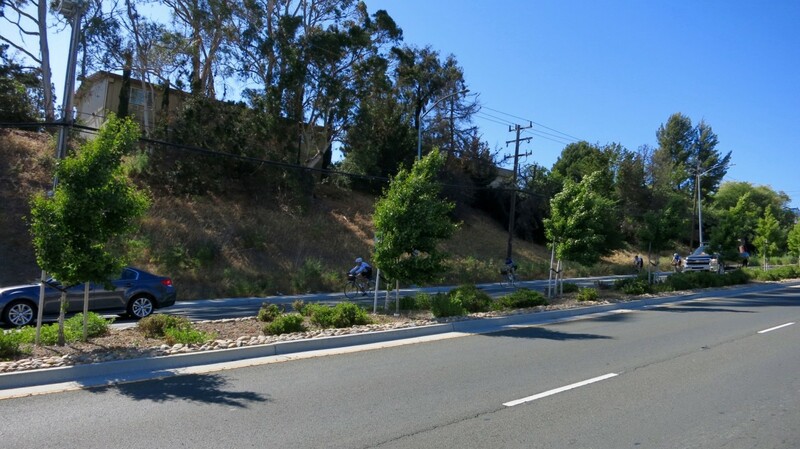 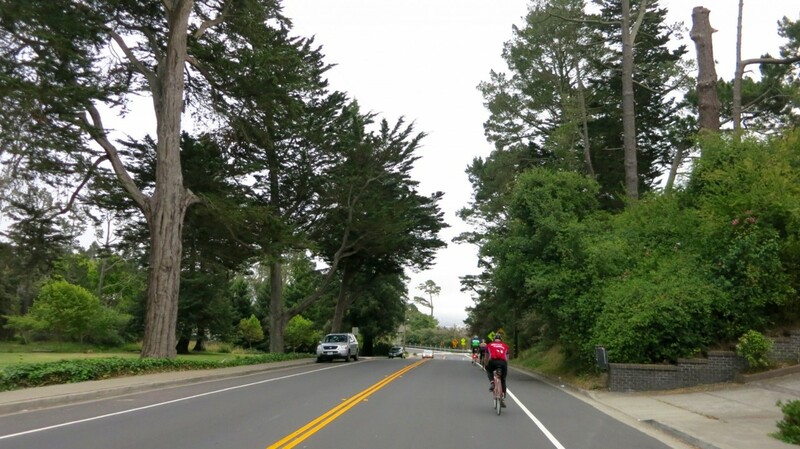 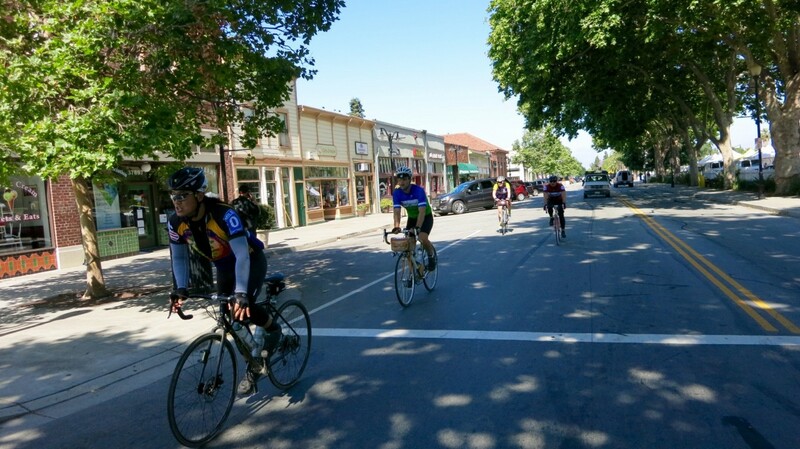 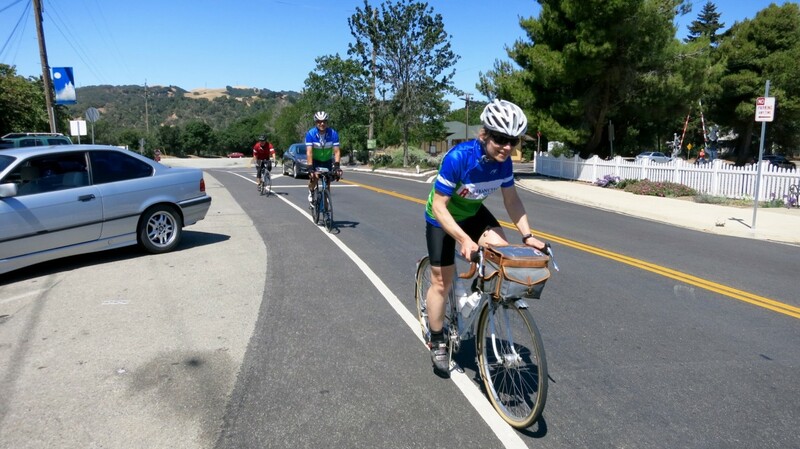 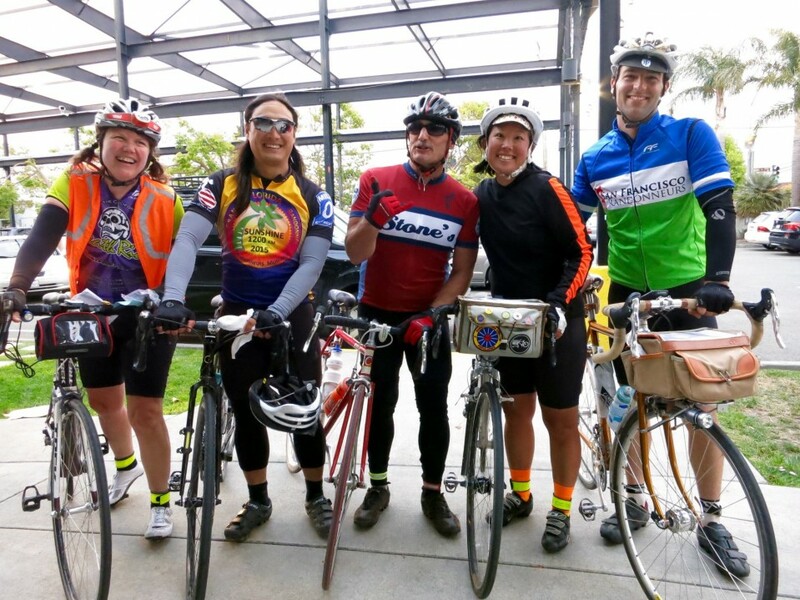 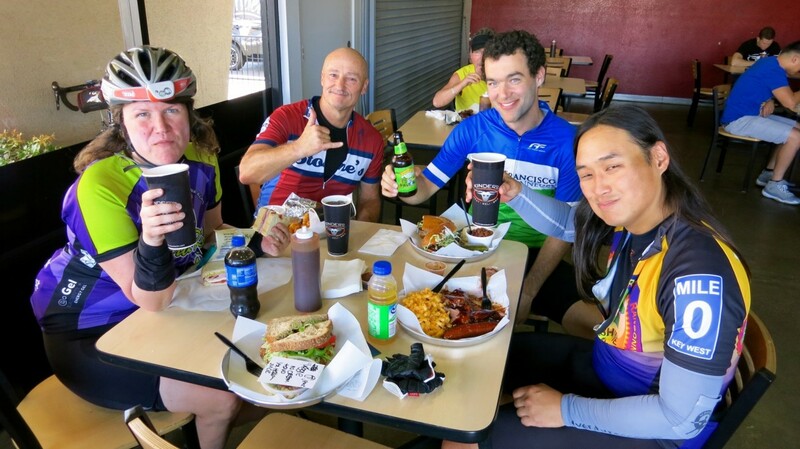 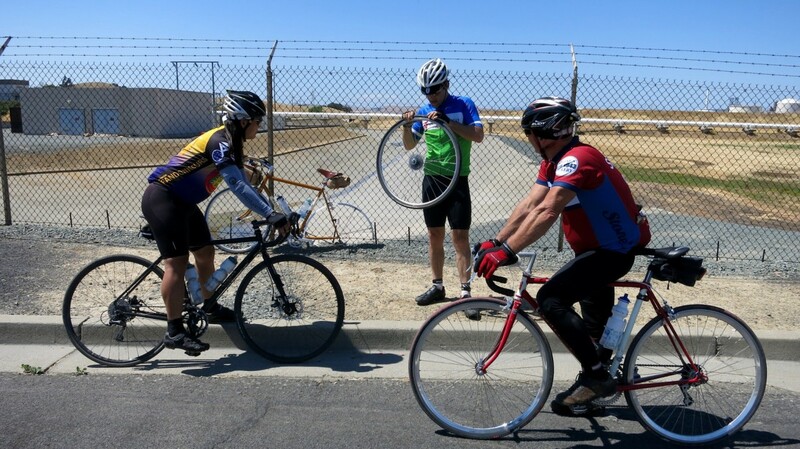 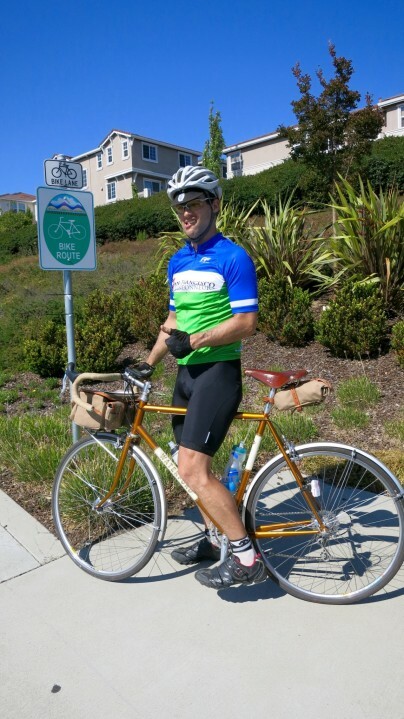 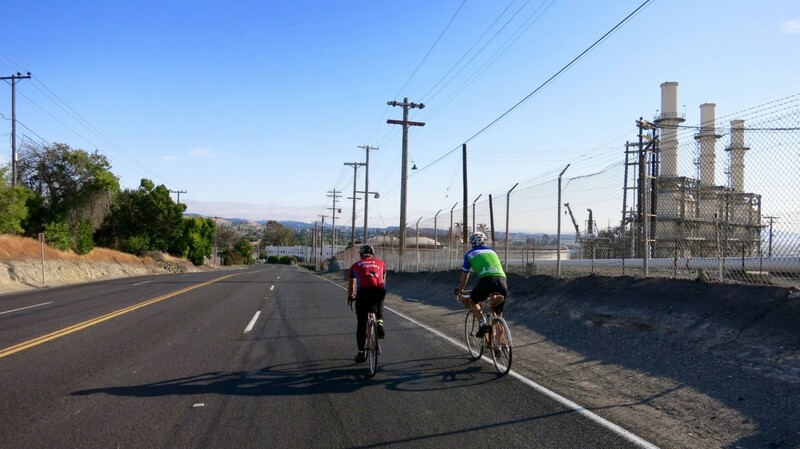 –We had some tedious miles to pass through Vallejo to ensure our route totaled a 200k; on the climb up Columbus Parkway, we saw Team Dendrobatidae (Rob, Drew, Erik, Mark and Todd) fly down the opposite direction! 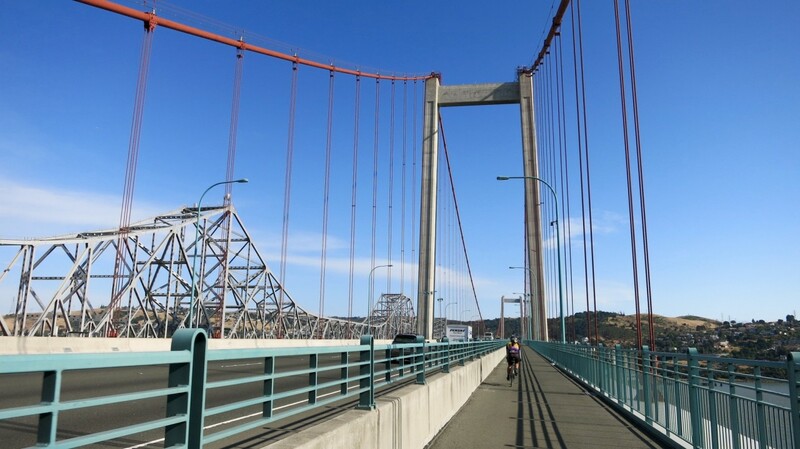 –Our group swung around back south near the former naval shipyard of Mare Island before crossing back over the Zampa (Carquinez) Bridge. 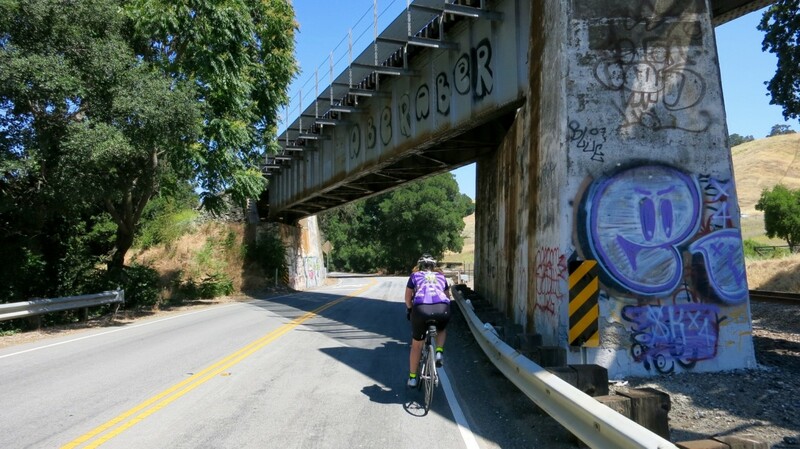 –I saved all the climbing on the route for the end, starting with a series of rollers on San Pablo. 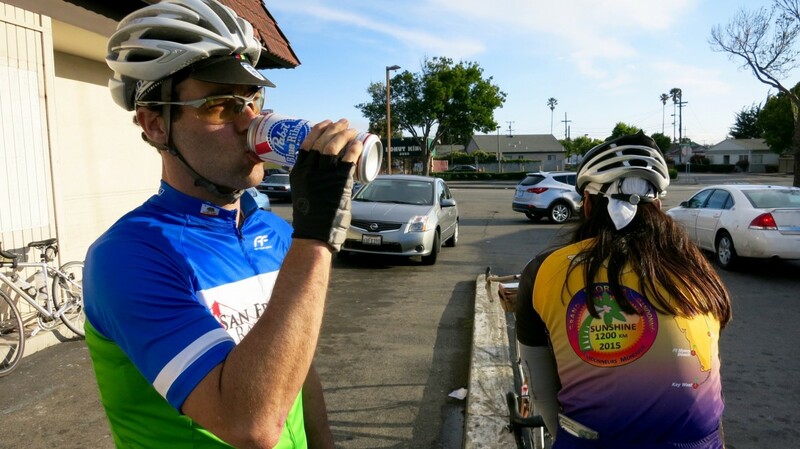 At our penultimate control, Mike shared a tall can of PBR with the group to give us fuel for the ascent up to the foggy ridge via Arlington. 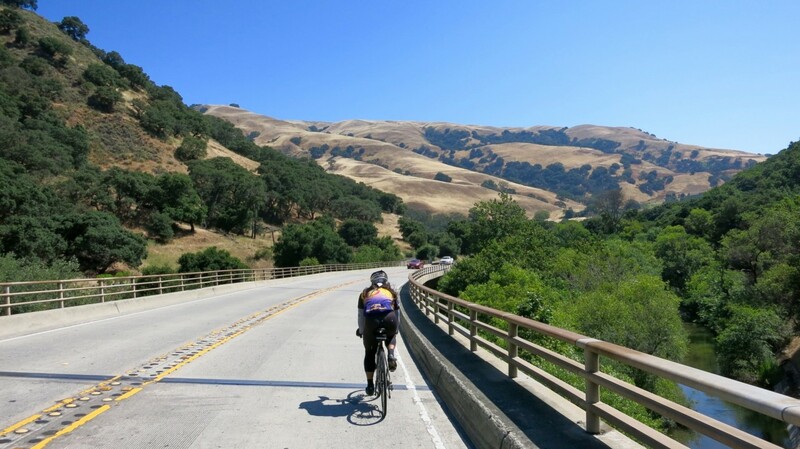 It’s got some steep kickers in there, but it ends with a glorious descent down to the Marin Circle, our last info control. 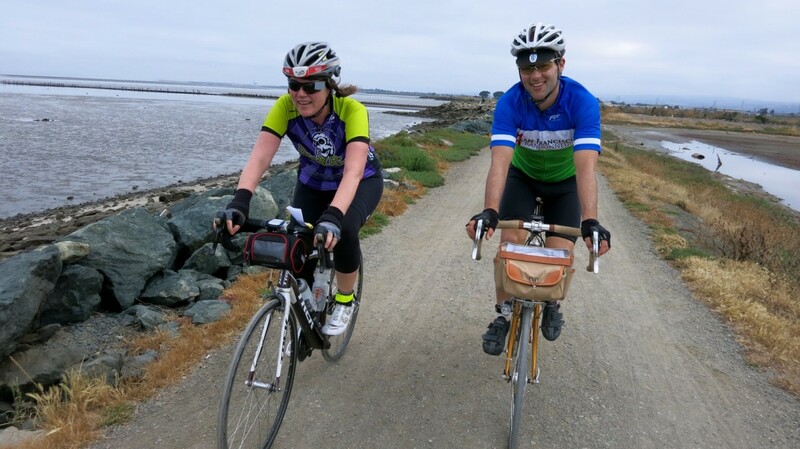 –Kudos to Ann for completing the route despite a cold and to Mike, who had just 90 miles in his legs this past year — now he’s got over 200! 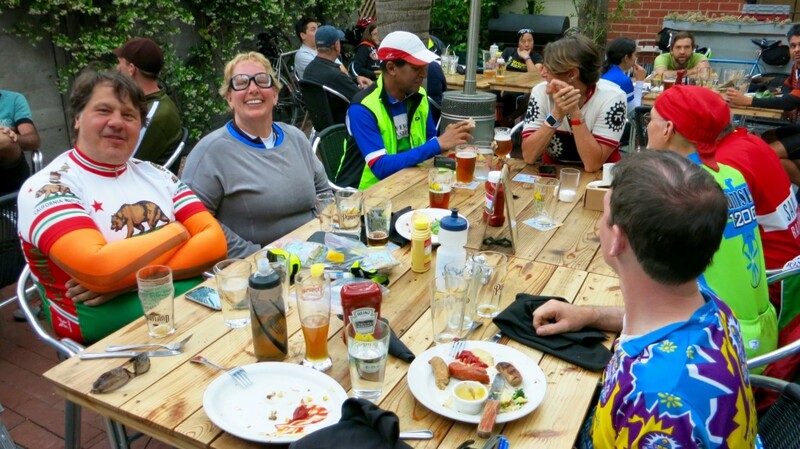 And thanks to my team for being fantastic company all day and helping me to redeem my captainhood by successfully finishing at Pyramid Brewery in Berkeley! 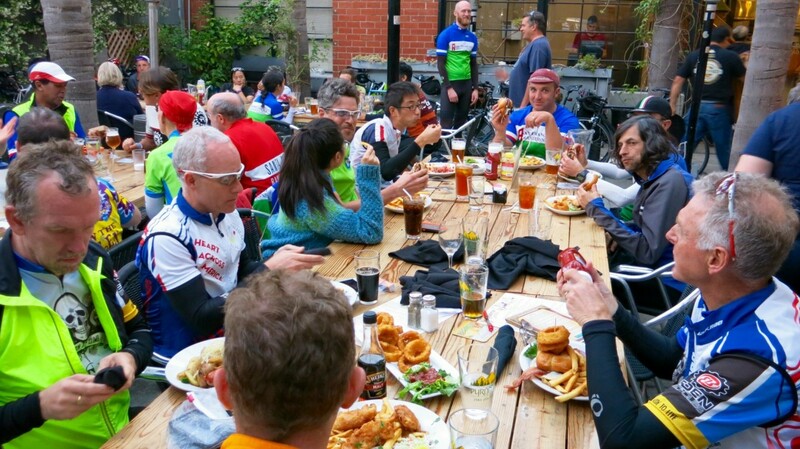 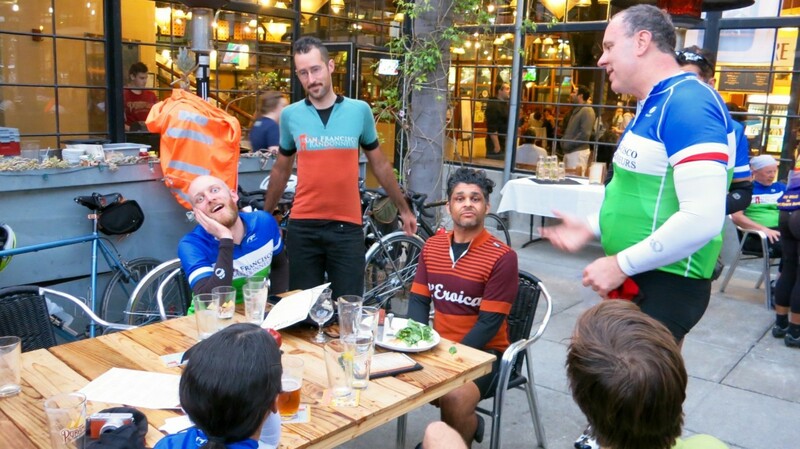 18 other teams with 83 riders total packed the patio, swapping stories over their burgers and beers. 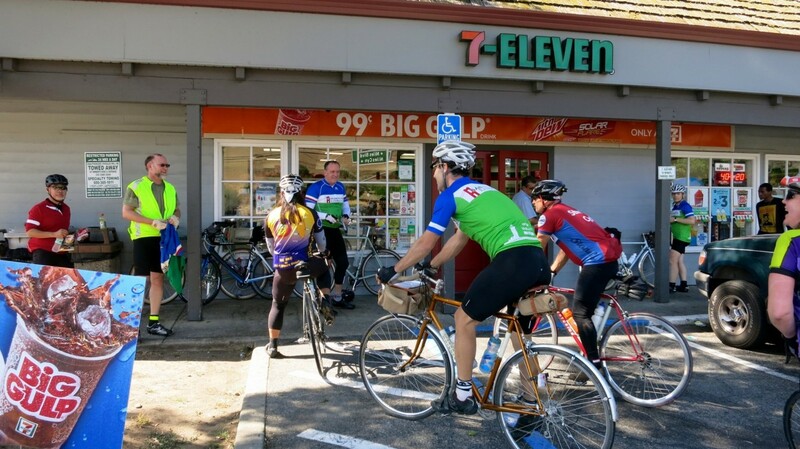 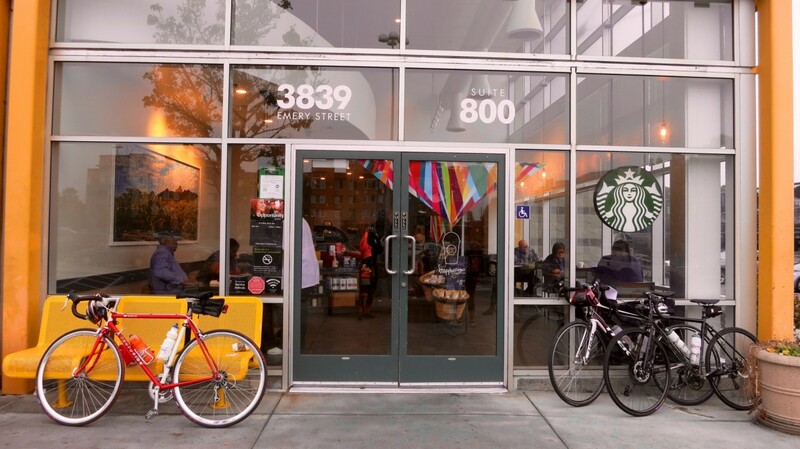 Rescued in Portland: A Stolen De Rosa Bicycle Has Been Found After 6 Years!